Naomi Campbell’s Egyptian Eye of Horus on Cleopatra Island in Turkey’s Gulf of Gökova. 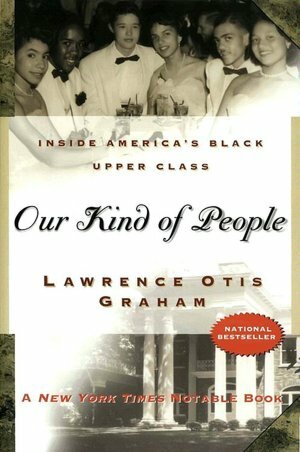 Legendary black American stage performer who took pre-World War II Europe by storm but found constant racial harassment in her homeland. 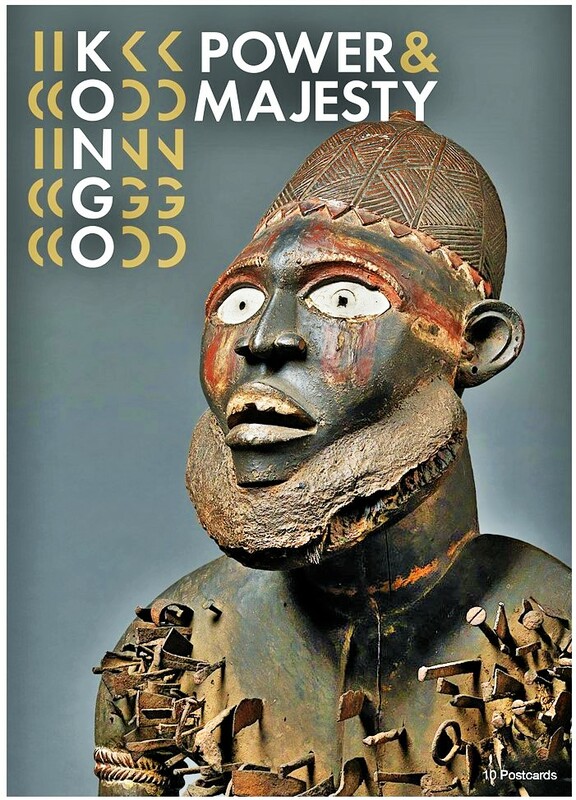 Biography of the African-American who became a major performer in the Paris cabarets of the 1920’s and 1930’s. The film follows her life beginning as a struggling performer in 1917 St. Louis, her frustrations leading to her move to France, and follows to her death in 1975. Today in history, June 3rd, 1906… dancer, singer and actress Freda Josephine McDonald (aka Josephine Baker), who gained fame in Paris, France, thanks to her “risque” cabaret and musical hall performances, was born in St. Louis, Missouri. While Ms Baker did perform on screen in a number of films – Siren of the Tropics (1927), Zouzou (1934) andPrincesse Tam Tam (1935), notably – she’s probably more universally recognized for her vaudeville stage musical acts which helped her become maybe the first international black female celebrity. She was also politically active, making contributions to the Civil Rights Movement here in the United States, and assisted the French Resistance during World War II, becoming the first American-born woman to receive the French military honor, the Croix de guerre. 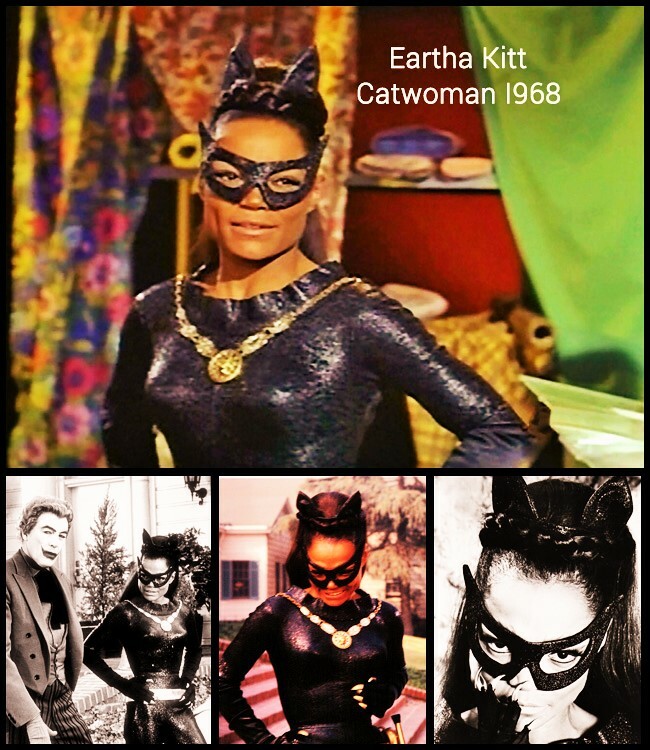 She died on April 12th, 1975 at age 68. 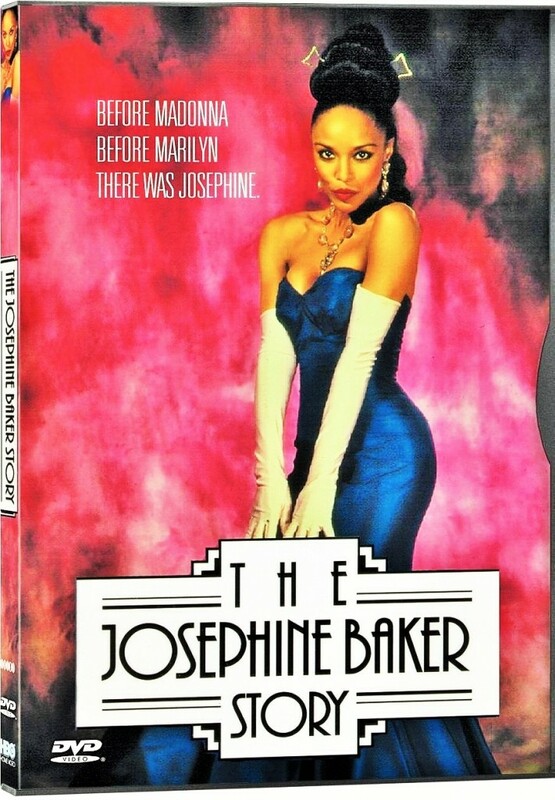 Since then, there’s really been only 1 true attempt to tell her story on film – the 1991, HBO movie, The Josephine Baker Story, which starred Lynn Whitfield as Baker. Whitfield would go on to win an Emmy Award for her performance! In 1943, Oscar Hammerstein Jr. took Georges Bizet’s opera Carmen, rewrote the lyrics, changed the characters from 19th century Spaniards to World War II-era African-Americans, switched the locale to a Southern military base, and the result was Carmen Jones. 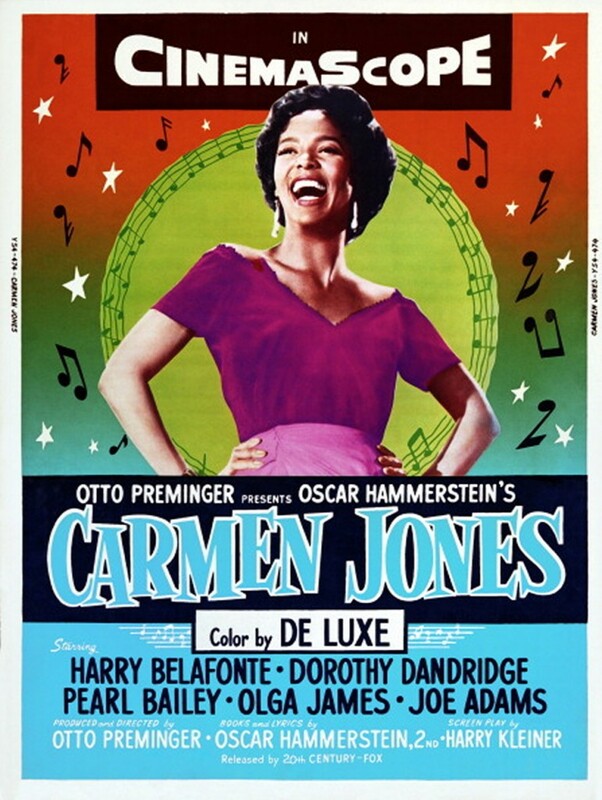 Dorothy Dandridge stars as Carmen Jones, tempestuous employee of a parachute factory. Harry Belafonte plays Joe (originally José), a young military officer engaged to marry virginal Cindy Lou (Olga James). When Carmen gets into a fight with another girl, she is placed under arrest and put in Joe’s charge. Succumbing to her attractiveness, Joe accompanies Carmen to her old neighborhood, where, after killing a sergeant sent to retrieve him, he deserts the army. Carmen tries to be faithful, but fortune-telling Frankie (Pearl Bailey) warns her that she and her soldier are doomed. Enter Joe Adams in the role of boxer Husky Miller (a play on Carmen’s bullfighter Escamillo), who sweeps Carmen off her feet, ultimately with tragic consequences. Alhough both Dorothy Dandridge and Harry Belafonte were singers, their opera voices were dubbed in by LeVern Hutcherson and Marilyn Horne.